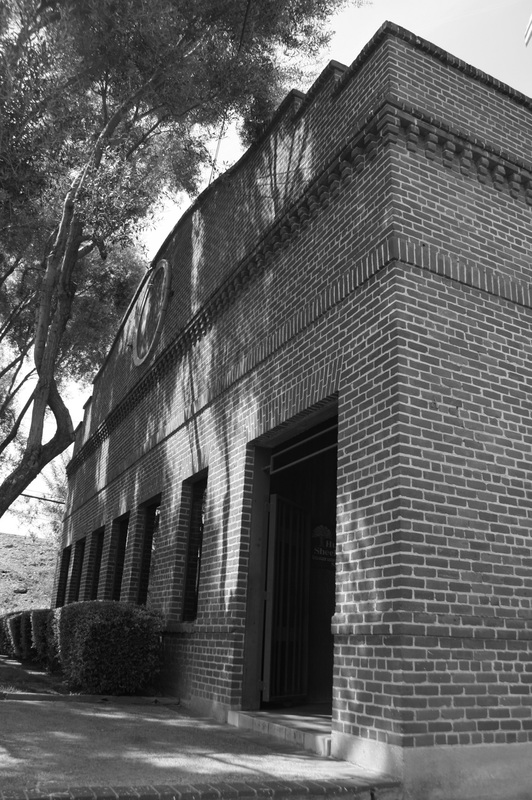 The history of Huntley-Bravos-Zall Insurance Brokers can be traced back to 1912, when Charles R. Boyd formed the Sutter Holding Company for the First National Bank of Yuba City. Boyd was a Sutter County pioneer businessman and farmer who also belonged to the Farmers’ Cooperation Union of Sutter County. The cooperative was established to process and merchandise crops, mainly hay and grain, grown by its members. At that time produce was shipped by boat down the Feather River from Yuba City to buyers in San Francisco. Boyd worked for the cooperative, first as a weigher, and eventually as manager. To provide financial services for its members, the cooperative established the First National Bank of Yuba City in 1912, and named Charles R. Boyd as bank president. At that time he formed the Sutter Holding Company to handle insurance for the bank and its customers. In 1926, when the Bank of Italy took control of First National, Sutter Holding became a separate independent insurance agency. C.R. Boyd appointed his son, Donald, as manager of the now-independent Sutter Holding Company. Donald Boyd was an experienced insurance agent who had worked for a number of years in San Francisco with the M. Thompson Company. Boyd was joined by his son-in-law, John J. Sheehy in 1945. In 1972 Sutter Holding Company merged with the prestigious Ellis-Huntley Company to form Huntley-Sheehy Insurance Company, Inc., with principals Mallard R. Huntley, Bradford Huntley and John Sheehy. The Ellis-Huntley firm had been established in 1924 by W.T. Ellis, Jr., who was instrumental in stopping the devastating hydraulic mining in the foothills that filled the rivers with debris. He was also responsible for building a remarkable levee system that has, since it was completed, protected the city of Marysville from flood waters. Raymond Huntley purchased the firm from Ellis in 1946, but kept the Ellis name out of respect for the man until his death in 1955. At the time he purchased the agency Ray Huntley had been the manager of the San Francisco branch of the Travelers Insurance Company. In 1952 Ray Huntley sold one-half of the agency to his cousin Mal J. Huntley, who was at that time chief underwriting officer of a subsidiary of the Home Insurance Company in the Midwest. In 1963 Mal’s sons, Brad K. and Mal R., joined the firm. After the deaths of the senior partners, Mal R. Huntley, Brad Huntley, and John Sheehy formed the new agency. Sheehy retired in 1984, but remained semi-active until 1986. The agency expanded with the addition of Bill Bravos in 1988. Seeking young talent, Huntley-Sheehy recruited two young producers. Alex Bravos joined the team in 2005 and Zach Zall in 2009. In 2015 the agency was renamed Huntley-Bravos-Zall Insurance Brokers to reflect the current principals active in the business. Huntley-Bravos-Zall Insurance Brokers have been a leader in general insurance services for the California marketplace since 1912. 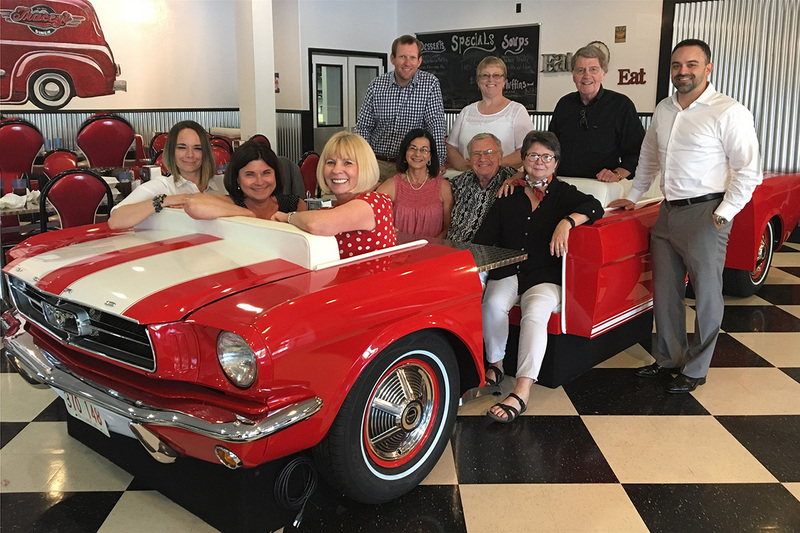 The owners continue the tradition started more than 100 years ago of not only providing business services, but also being active in community and civic affairs. Brad has been a Marysville, California resident since 1953. He received his B.S. from the University of Tulsa. Upon graduation, Brad entered the agency with his brother Mal. Brad has over 50 years of insurance industry experience. As President of Huntley-Bravos-Zall Insurance Brokers, Brad has successfully led the company to be a leading insurance brokerage in the Central Valley. Brad was an active member of Marysville Kiwanis and served as President of the club in 1968. He was Chairman of the Yuba County Planning Commission and served on the Board of Directors for the Yuba County Juvenile Justice Committee. He is currently a member of the Sacramento-San Joaquin Wine and Food Society , Peach Tree Golf and Country Club and an Alumni/Life Loyal Member of the Delta Omega Chapter of the Sigma Chi Fraternity. In his spare time, Brad enjoys fine wine, travel and playing dominoes. Mal R. Huntley graduated from the University of Tulsa in 1956 with a BA Degree. After three years active duty as a navigator/bombardier in the Strategic Air Command, he returned to graduate school and earned an MBA from Stanford University in 1961. Upon graduation he spent five years with the California Optometric Association as its Director of Public Information before joining the agency in 1966. Mal is well known as a community leader, having served as president of the local Independent Insurance Agents Association, Rotary Club of Marysville, Rideout Hospital Institute for Development, Peach Tree Golf and Country Club, Rideout Hospital Board of Directors and as Chairman of The Fremont Rideout Health Group. He is an Alumni/Life Loyal Member of the Delta Omega Chapter of the Sigma Chi Fraternity. Mal is a world class domino player, a long time golfer of less than mediocre quality, a croquet enthusiast, and a duck hunter of marginal success. He lives with his wife in the Loma Rica area and at their Nevada City house. His three children have provided him with three delightful grandchildren that he considers the world’s best revenge. Alex received his B.S. Degree in Exercise Biology at U.C. Davis in 2004. After graduation, he became a broker at the agency specializing in Life and Health. Alex is an Accredited Advisor in Insurance; a designation conferred through the American Institute of Chartered Property Casualty Underwriters. He is a 2005 graduate of the Ultimate Producer School. Alex was a Board Member of the Fremont-Rideout Foundation, a former member of the Rotary Club of Yuba City and current member and former president of the Active 20-30 Club of Marysville/Yuba City. He is a member of Peach Tree Golf and Country Club and an Alumni/Life Loyal Member of the Theta Omicron Chapter of the Sigma Chi Fraternity. Alex enjoys playing golf in his spare time. Zach received his B.S. in Business Administration from the University of Tulsa. He is designated as an Associate in Risk Management (ARM), Agribusiness and Farm Insurance Specialist (AFIS), Associate in Underwriting (AU) and Associate in Insurance Services (AIS). Zach’s experience in the insurance industry spans both the company and independent agency sides. As a Commercial Underwriter for Allied Insurance in the Pacific Coast Regional Office, Zach was responsible for profitability and growth in the Southern California insurance market. In his current role at Huntley-Bravos-Zall, Zach is responsible for establishing new relationships with clients and building on those already in place. He is able to create risk management programs individually tailored to each exposure. Zach was responsible for creating California Optometric Insurance Network, LLC, a risk management program designed for optometrists with California operations. This program, in conjunction with Sequoia Insurance Company, offered cost effective insurance solutions designed specifically for optometrists. Zach is committed to serving his community by volunteering his time for many local organizations. Zach is a former Board Member of the Rideout Health Foundation, Past-Chairman of Fairway To Health golf tournament, former member of the Rotary Club of Marysville, current President of Active 20-30 Club of Marysville/Yuba City, member of Insurance Professionals of Sacramento, Peach Tree Golf and Country Club and an Alumni/Life Loyal Member of the Delta Omega Chapter of the Sigma Chi Fraternity. In his spare time Zach enjoys playing golf, duck hunting, gourmet food, and travel with his family.